BRIGHTON, Mich. – The Ford Escape is a mid-size sport-utility vehicle, which now incorporates the latest technology and style; setting a new standard in the SUV category. 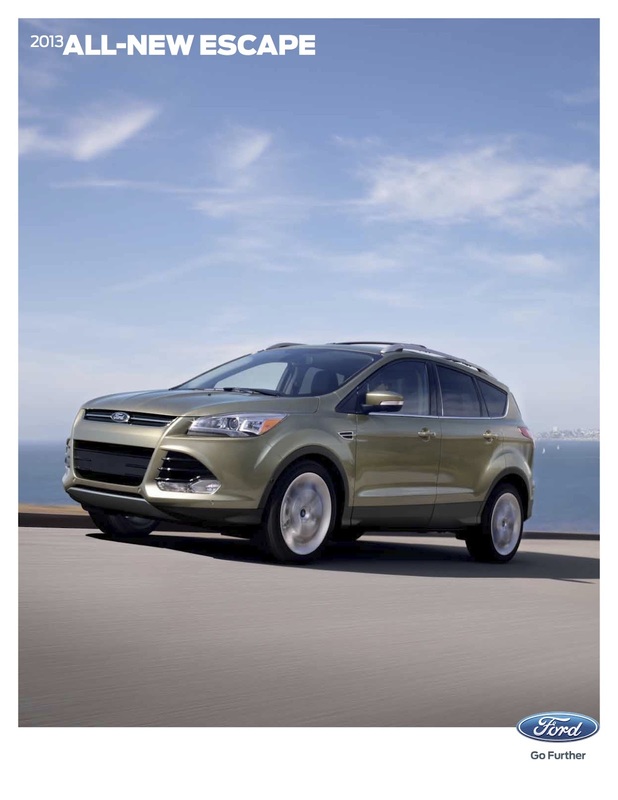 Completely redesigned for 2013 the Escape features an athletic looking exterior, with a much improved interior. The five-passenger Escape is available in S, SE, SEL, and Titanium trims, in either front or four-wheel drive. Engine choices start with the 168-hp 2.5-liter four-cylinder. Also, a 173-hp 1.6-liter EcoBoost four-cylinder engine is available. For even more power a 237-hp 2.0-liter EcoBoost four-cylinder engine is offered. All variations are paired with a six-speed select-shift automatic transmission. Impressive features offered on the Escape include a Panoramic Vista Roof, satellite radio, SYNC, MyFord Touch, a trailer towing package, heated leather seating, navigation system, auto park with cross traffic alert, Sony audio, MyKey, and an industry first hands-free power liftgate. Standard safety features include seven-airbags with drive knee airbag, passive anti-theft system, AdvanceTrac stability control with anti-rollover technology, four-wheel disc brakes, and tire pressure monitoring. The Ford Escape is all-new for 2013. If you have any questions about the new 2013 Ford Escape inventory, please contact us right away. We would be more than happy to assist you.